You probably won’t ever appreciate what your garage door does for you completely until the day it stops working. When that happens, you need an expert garage door repair company, such as Action Garage Door to come to your rescue. There are a variety of common Dallas garage repair problems that we encounter in the area frequently. 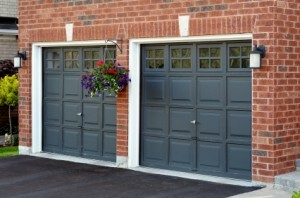 If you use your garage door on a regular basis, you might go out to leave for work in the morning and find it won’t open up. When this happens, your opener might not be functioning correctly and will need to be reprogrammed by a company that specializes in garage door repair. While a garage door that sticks in spots when it opens or closes won’t stop you from using your garage door, it could harm the sticks, rollers, and springs that make your garage door function. If you have a sticky garage door, the tracks that your garage door slides on may be dirty or the hinges of your door may need some lubrication. Another common garage door problem happens when the garage door falls when it’s being opened. If this ever happens to you, you likely will need to replace the extension springs of your system. These are just a few of the garage door repair problems that we run into on a daily basis. If you ever run into one of these problems or have another issue with your garage door, call (972) 215-7906 to get in touch with us at Action Garage Door.